How to match your antenna and/or filters, detect cable faults or checks its loss? When it comes to the installation or maintenance of an antenna, antenna analyzers simplify your work, saving time for anything else. RigExpert™ antenna and cable analyzers are ready for use in the field immediately after powering on and do not need pre- or recalibration, as many other similar products, in any season. Our instruments have a simple and convenient user interface, as well as a built-in help assistant. 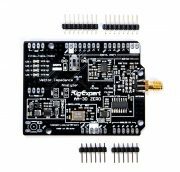 All these advantages and high accuracy of measurements make RigExpert™ antenna and cable analyzers indispensable tools for HAM operators and radio engineers. Did not find what you were looking for? Please see the Discontinued products page.